SBA District Director Yvette T. Collazo announces that PR Trade and Export is one of this year's recipients. The U.S. Small Business Administration launched new Historically Underutilized Business Zone (HUBZone) maps via Google Chrome that are “a little bit easier” to navigate for small business owners, the agency said Wednesday. The new maps are part of the agency’s efforts to modernize the site for small firms looking to gain access to federal government contracting opportunities. 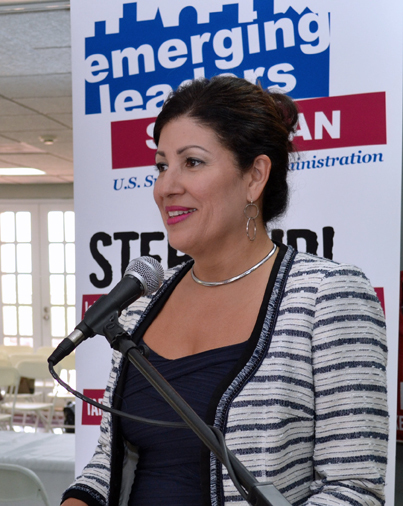 “The revised HUBZone maps will better guide small businesses located in Puerto Rico’s urban and rural communities as well as in the U.S. Virgin Islands determine if they are eligible to participate in the HUBZone program,” said SBA District Director Yvette T. Collazo. “The federal government has a goal of awarding 3 percent of all dollars for federal prime contracts to HUBZone-certified small businesses,” she said. “The new maps feature the latest HUBZone designations to ultimately assist small firms in accessing federal contracting opportunities,” Collazo added. Under the program, small businesses located or looking to relocate in a HUBZone may gain access to competitive and sole source contracting opportunities from the federal government, as well as a 10 percent price evaluation preference in full and open contract competitions and subcontracting opportunities. In March 2016, the SBA launched certify.SBA.gov, a modernized, web-based application to further streamline and improve the application and certification processes for small businesses and entrepreneurs seeking to do business with the federal government. Certify currently facilitates complete application and certification workflow for the Women Owned Small Business Program, including access to third party certification for women-owned small businesses. For additional details about the HUBZone maps, visit www.sba.gov/hubzone. Hey Buddy!, I found this information for you: "SBA launches new easier to navigate HUBZone maps". Here is the website link: https://newsismybusiness.com/launches-navigate-hubzone/. Thank you.